If you are planning to visit Wooli for your next holiday, we imagine you have the following in mind: relaxation, picturesque surroundings and the chance to enjoy life's simple pleasures. Sound about right? Our 'piece of paradise' is surrounded by the Yuraygir National Park, characterised by striking cliffs, rocky headlands, isolated beaches and quiet lakes. We are part of the Solitary Islands Marine Park, boasting turtles, coral, hundreds of different species of fish and humpback whale sightings. Imagine the pristine Wooli river at your doorstep, at-the-ready for you to drop in a line or share a picnic on the bank. Witness nature at its best with the diverse range of wildlife oh-so-close. Hear the waves rolling and inviting you for a swim at the long sandy beaches minutes away. 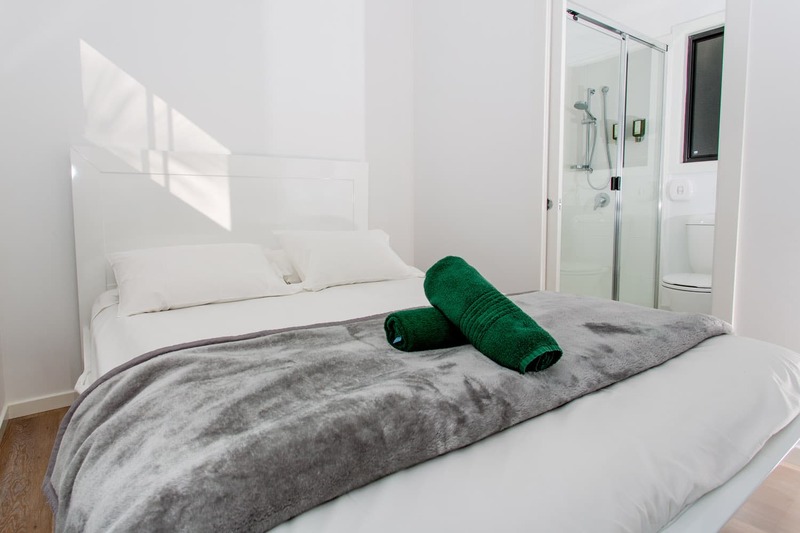 Our accommodation options are perfectly positioned to allow you to explore everything Wooli has to offer. 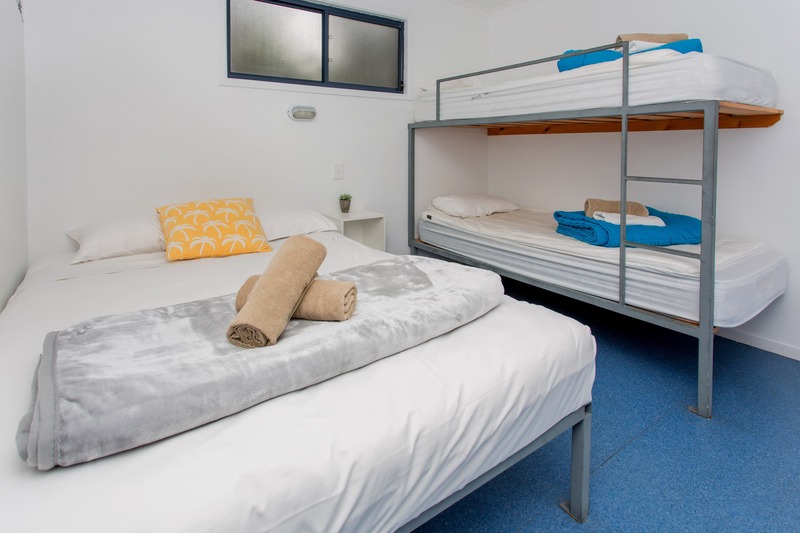 There's no question about it - Solitary Islands Resort is your best choice for accommodation in Wooli. 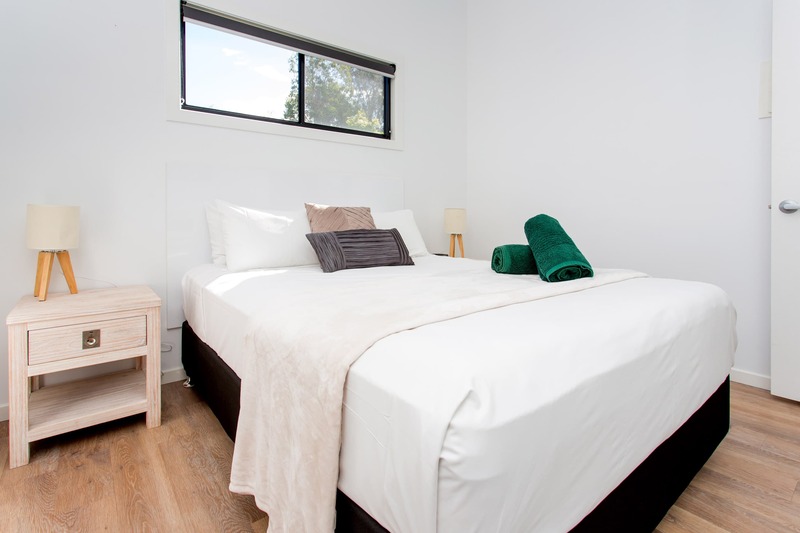 We invite you to settle in, then venture out and see this incredible part of the northern rivers coastline. Family holiday? Your kids will be wowed and amazed by the facilities we have just for them! Picture this - waterslide, pool, spa, jumping pillow and mini-golf. For the little-ones we have a playground, sandpit and toddler pool! Group holiday? 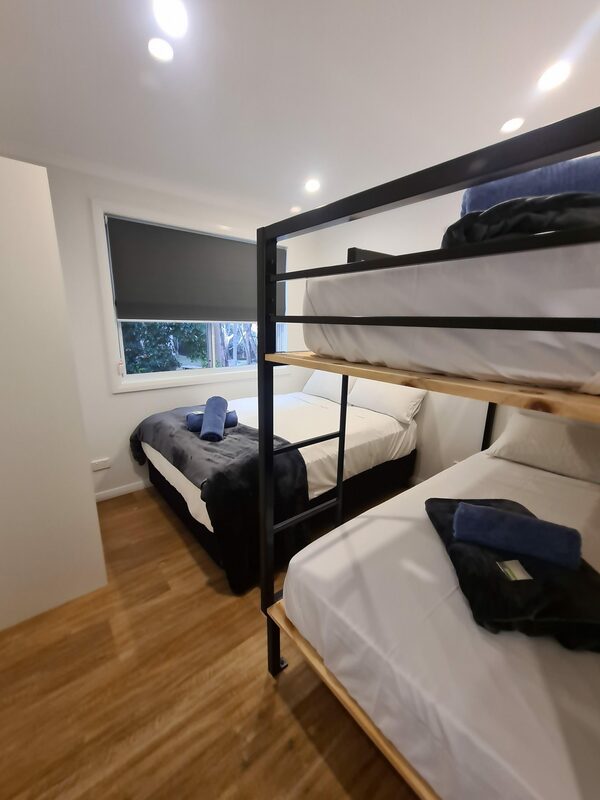 If you want to arrive and relax immediately, our range of cabins should cater for all the differing needs within your group. If your group is more the camping/caravanning type our spacious sites will provide the perfect group HQ for your adventures. We have the 'best camp kitchen on the coast', lots of BBQ's and a function room available for hire. Solo traveller? Our cabins are extremely comfortable. Or if a more budget option suits, our beach huts are just the answer. 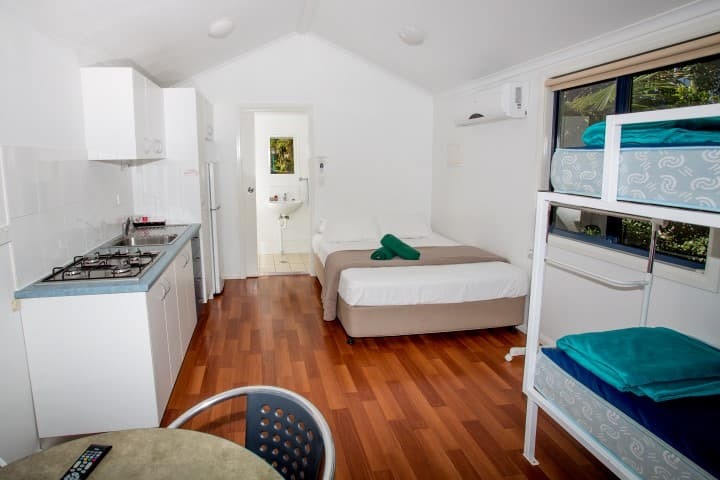 Beach huts have a queen bed with single bunk above, small fridge, TV, fan and heater. Of course we have powered sites for the solo traveller too. Join in the fun at our cafe if you're keen to make some new friends. Backpacking? Beach huts are the perfect budget option if a powered sites is not for you. Our camp kitchen and BBQ area provides the perfect place to socialise and debrief after a day of exploring. A pristine surfing beach is 5 minutes walk away.